That first-dance glow! Donald and Melania Trump will have their first dance as President and first lady at the Inaugural Ball at the Walter E. Washington Convention Center in Washington, D.C., on Friday, January 20. But before they do, we&apos;re taking a look back at other first Inaugural Ball dances through the years, starting with Ronald and Nancy Reagan. Watch former presidents and first ladies take their first dances above! In January 1985, the Reagans took a dance around the "American Celebration" stage at the DC Armory dressed to impress. While the newly minted President wore a crisp tuxedo, his wife chose a white, beaded, long-sleeved column dress. After that, there was George H.W. and Barbara Bush (in January 1989), Bill and Hillary Clinton (in January 1993), George W. and Laura Bush (in January 2005) and of course, most recently, Barack and Michelle Obama (in January 2009). 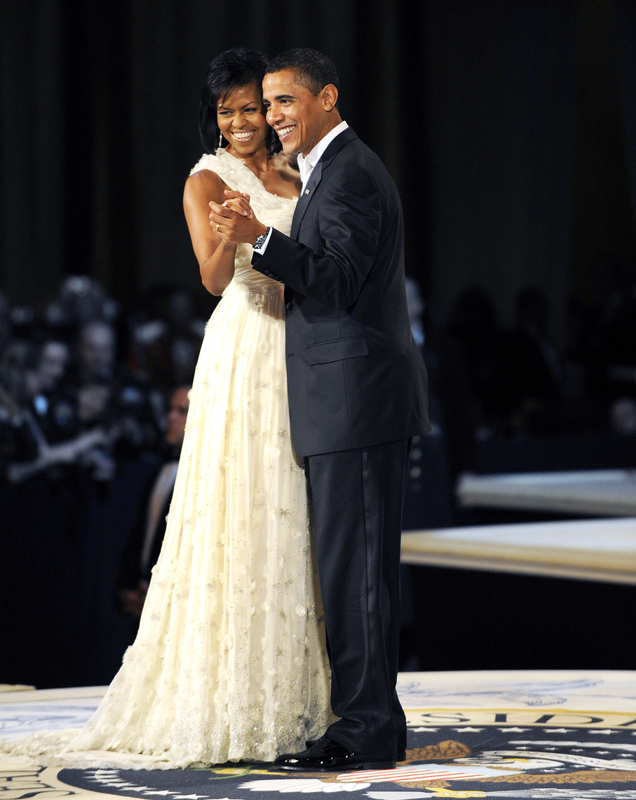 While each first lady&apos;s fashion choices were admired, Michelle&apos;s dresses for both the 2009 and 2013 Inaugural Balls in her husband&apos;s honor are especially beloved for their combination of tastefulness and modernity. They were also crafted by the same designer: Jason Wu, who Mrs. Obama helped put on the map.